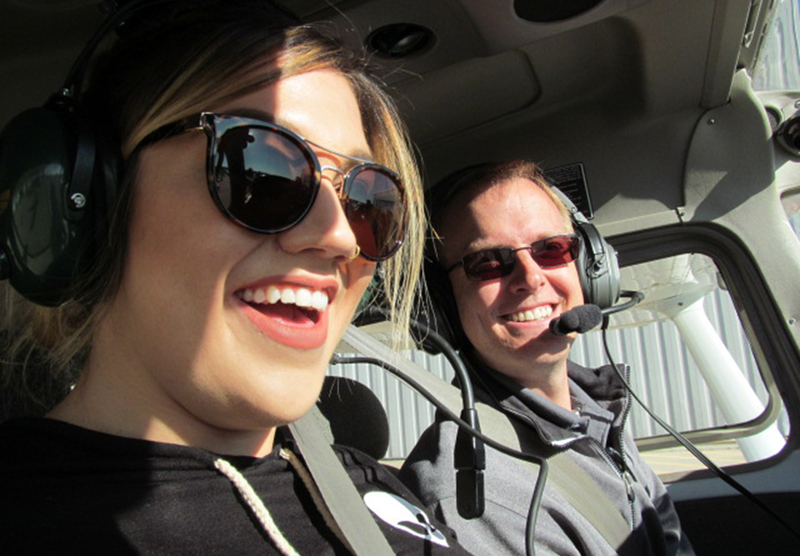 As Erin Husman soared through the air in the Diamond DA40, she saw more than the Denver skyline unfolding in front of her—she saw a lifetime of possibilities. 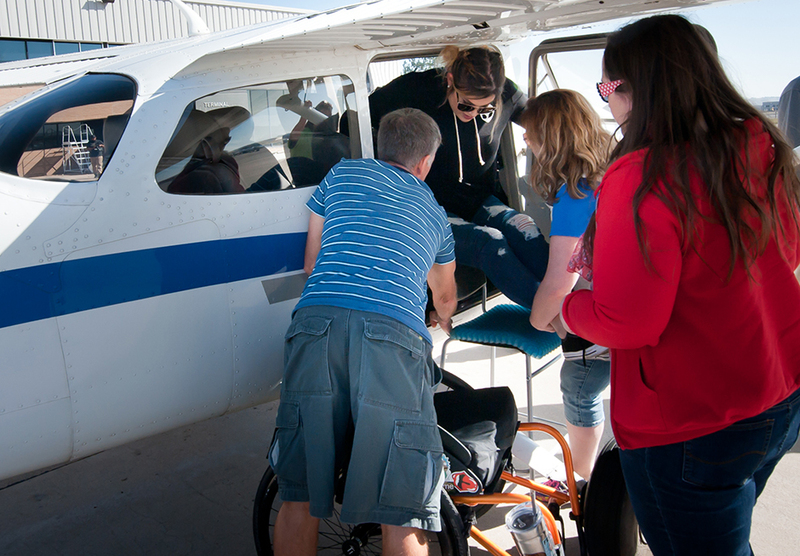 The Craig Hospital outpatient, who sustained a spinal cord injury and was paralyzed when she was struck by a truck in California, was one of four patients and grads participating in the CraigFlight program, a partnership with the Therapeutic Recreation Adventure Program and the Jeppesen Employees Flying Association. The patients took off from Denver Jet Center East at Centennial Airport and flew over Craig Hospital on their way to Red Rocks Amphitheater and over downtown Denver before returning to the airport for lunch at the Perfect Landing restaurant. Each participant was given a commemorative chart of their flight, as well as a photo and gift bag. 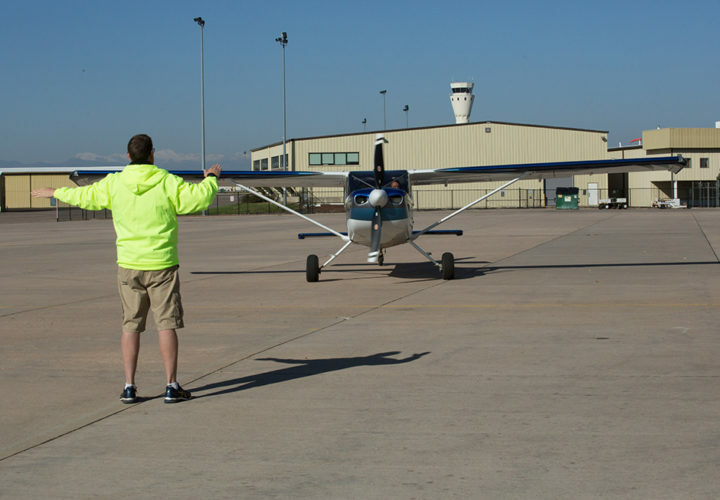 A CraigFlight plane prepares to takeoff with the assistance of a volunteer crew member. The patients flew in a Diamond DA40 & Cessna 172R. Craig graduate Ben Jenkin is briefed on what to expect. Craig Outpatient Wendie Fredrickson prepares for her flight. Wendie was paralyzed when she hit a stump while skiing. She is now able to walk and comes back to Craig once a year for "fine tuning." She credits Craig for her success, and says that she loves to come on Craig outings to get to meet other patients. 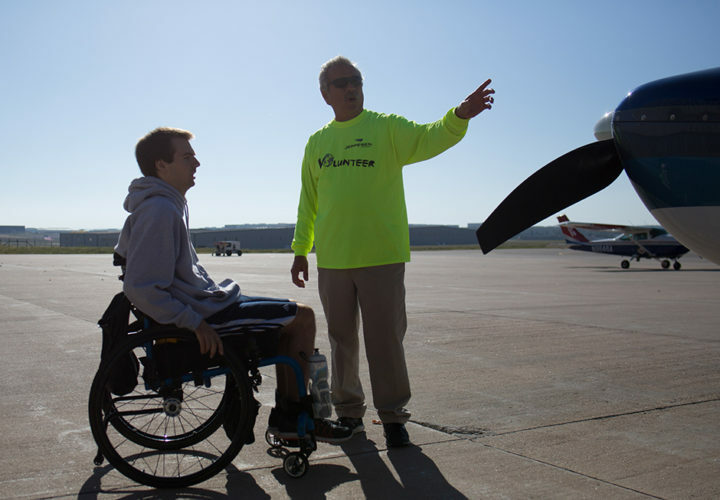 While the flight was pure fun for all of those involved, the participants were also indirectly educated on transportation issues, accessibility, and caring for themselves in a variety of situations —important milestones toward their independence. 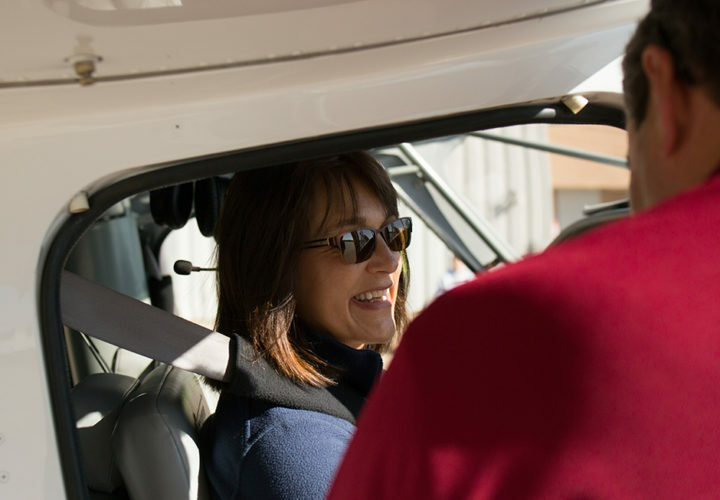 Erin, who had attended another CraigFlight outing in June, marveled at the progress she had made over the months, noting that this time she was able to transfer from her wheelchair to a bar stool, and into the plane’s co-pilot seat independently. The program was started six years ago by then-CEO of Jeppesen, Mark Van Tine. Mark knew about Craig's excellent reputation because his nephew had been a patient. Jeppesen launched the program after a conversation with the Craig Hospital Foundation about ways the company could help the hospital as well as engage Jeppesen employees in a unique community program. 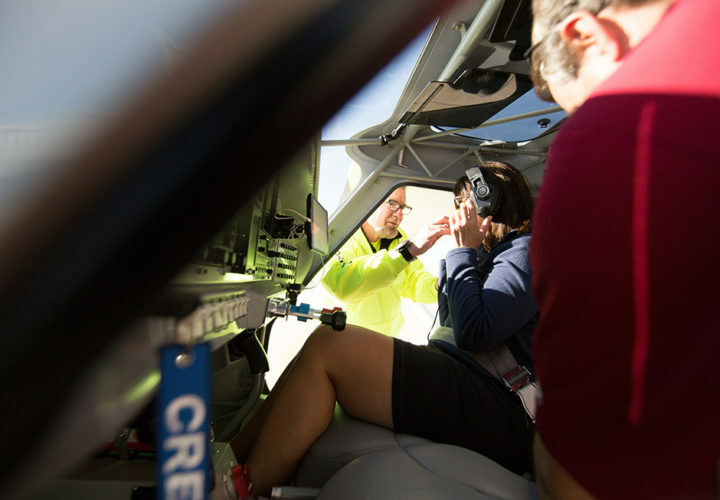 Jeppesen, a leader in global navigation solutions, hosts Craig four times per year. In that time, more than 100 patients have clocked 175 hours of flight time. 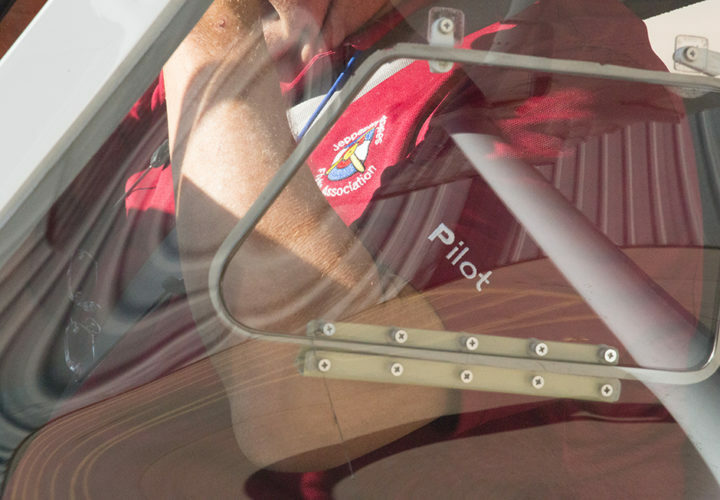 A dozen volunteer pilots fly rotations and have been assisted by nearly 100 Craig staff members and Jeppesen volunteer ground crew members. Family members of the patients are also taken for flights. 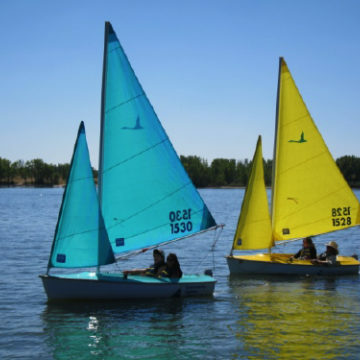 Craig’s Therapeutic Recreation Adventure program takes patients on a variety of outings in Denver and around the world, from horseback riding to scuba diving. 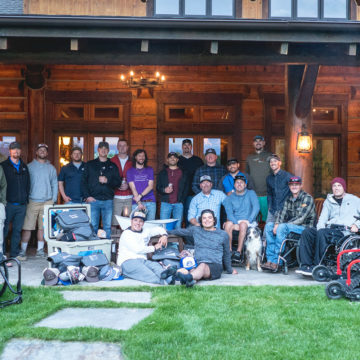 Beyond the adrenaline rush, these adventures allow participants to connect with peers and challenge themselves in ways they may not have thought possible. 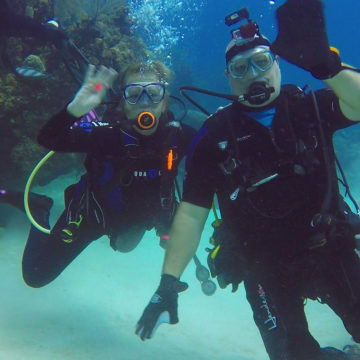 The program often relies on community partners like Jeppesen and A-1 Scuba to support the outings. “We couldn’t do it without our partners, their expertise allows us to keep offering these things to our patients,” says Bert Menardi, assistant director of Therapeutic Recreation. Bert says that seeing the grins on his patients’ faces as they land is invaluable.